The overall aim of the project is to promote and support the development of History Education Network in Bosnia, Croatia and Serbia which strengthens Peace, Stability and Democracy. To reach this aim, several fact finding missions to the three countries, as well as training seminars for textbook authors, trainers and teachers in Bosnia and Croatia took place. In addition, several regional seminars were organised in the separate countries. 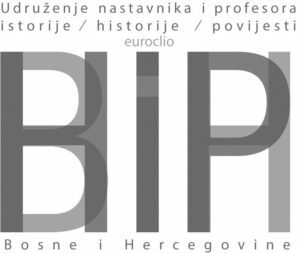 To enhance the quality of history education in Bosnia, Croatia and Serbia. To enhance national and international cooperation, communication and network on the learning and teaching in Bosnia, Croatia and Serbia and abroad. To professionalize History Teachers and setting up a History Teachers Organisation. Growing awareness for the need of innovative history curricula respecting diversity in society. A growing group of updated trained trainers and teachers. A growing international dimension in history education. Growing capacities through implementing democratic skills and practice in history education. Growing use of information and communication technology in history education. A growing network of history educators in Bosnia, Croatia and Serbia willing to take their share and responsibility for peace and stability in Bosnia, Croatia and Serbia. Increased awareness among history educators about the diversity in society. Enriched national and international cooperation and understanding. A growing and active professional network of history educators. Starting to develop independent, active and professional history educators’ organisations in Bosnia and Croatia. Starting to develop sustainable Associations able to take responsibility and ownership on a national and/or regional level. Starting to develop professional skills and use of information and communication technology of history educators.